Leave your clothes fragrance free and luxuriously soft with Ecover ZERO Fabric Conditioner. Making ironing a breeze whilst using gentle plant-based ingredients. Ecover fabric softener leaves no residue of unnecessary chemicals, is suitable for septic tanks and has minimum impact on aquatic life. Ecover ZERO has been specially crafted for people who want a fragrance free, allergy-approved product they can trust. Perfect for sensitive skin, the ZERO range is dermatologically tested and approved by Allergy UK. >30%: Water, 15-15%: Cationic surfactants, < 5%: Dipropylene glycol, Preservative (Sorbic acid), Magnesium chloride. 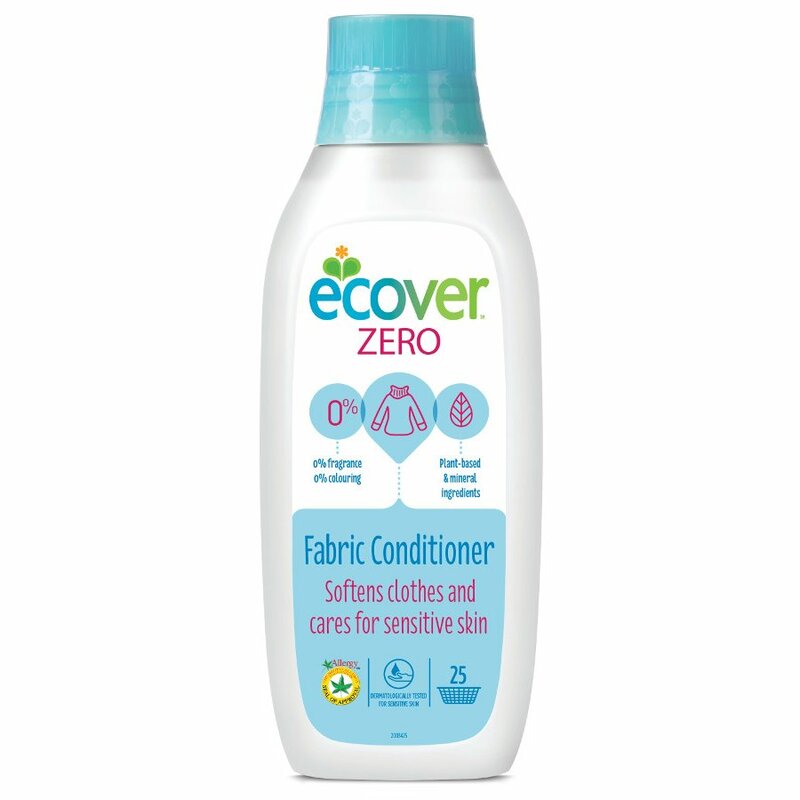 There are currently no questions to display about Ecover Zero - Fabric Conditioner 750ml.